1. 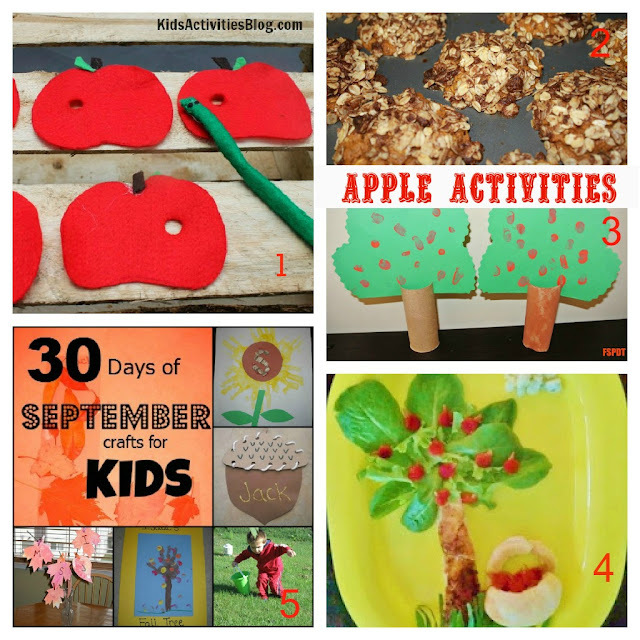 Kids Activities Blog shared a cute apple song and some felt apples and worms. 2. Train Up a Child has a recipe for some yummy apple oatmeal whole wheat muffins. 3. 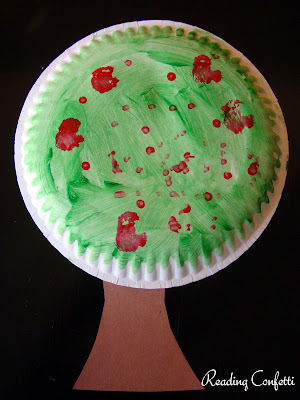 Love these 3D trees from Frogs and Snails and Puppy Dog Tails. 4. Kitchen Fun with My 3 Sons made an apple picking salad perfect for lunch or dinner. 5. Moms Like Me has an awesome list called 30 Days of September Crafts which includes an apple extravaganza (Creative Connections for Kids) and chocolate apple treats (Inspired by Family Magazine). We had some fun with our own paper plate apple trees this week.